This beautiful small gated neighborhood in the easternmost limit of the city of Rancho Santa Margarita is also part of the Trabuco Canyon area, it's located off Plano Trabuco Road against the hillside between Rancho Cielo and Robinson Ranch.The 133 Walden Homes are characterized by having some of the lowest tax rates in the area, having single loaded cul-de-sac streets with city and mountain views, and it's own pond.The main streets for the community are Hummingbird, Bluejay, Turtledove, Partridge, Honeysuckle and Weeping Willow, which reflects the community natural setting. Search all Walden homes currently available for sale listed in the MLS. 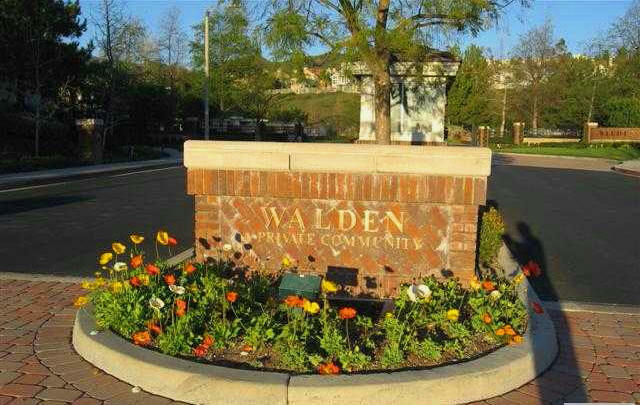 Read more for information about the Walden Real Estate options available. 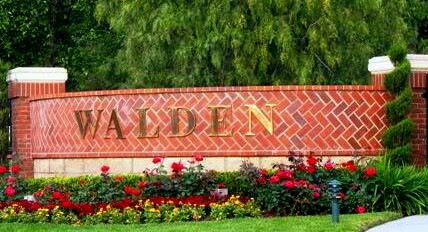 For more information about the Walden homes for sale please contact us by email or call us at (949) 888-6788. The Walden real estate portfolio is a small one, compromised of 133 single family residences. As you enter the community there's a beautiful waterfall that leads to the pond. The community pool and spa were built next to the pond so everyone can enjoy the natural setting. The homes are located in single loaded streets, most with beautiful view lots to the east of the Saddleback Mountain. Residents are allowed to fish in the community's own private pond, which is fully stocked with fish, and are required to follow catch and release protocols, to maintain the natural reserves. Walden was built by Brock Homes in the 90's, and on top of all those great amenities the community offers, it has a real advantage: there's no mello roos, and the property tax is one of the lowest in all Rancho Santa Margarita. When Brock built it there was a lot of concerns about future property values for these homes so the builder decided to pay off the Mello Roos bonds, giving these homes an approximate tax rate of 1.2%. Walden homes don't come in the market too often but for those looking for the tranquility of a private neighborhood, with upscale homes, with no through traffic in and in a gorgeous natural setting, Walden might be worth waiting for. OCExecutives specializes in real estate transactions of Walden Homes in Rancho Santa Margarita, California real estate for sale. Contact us today to sell real estate or buy real estate in the Walden community. For more information about any of these Walden Homes, please contact us. Or if you would like to see a list of other communities follow the links above, or click here for other Rancho Santa Margarita Homes for sale.